The Motorola DS6878-SR cordless 2D imager offers the complete data capture functionality required to streamline and error-proof everyday processes. 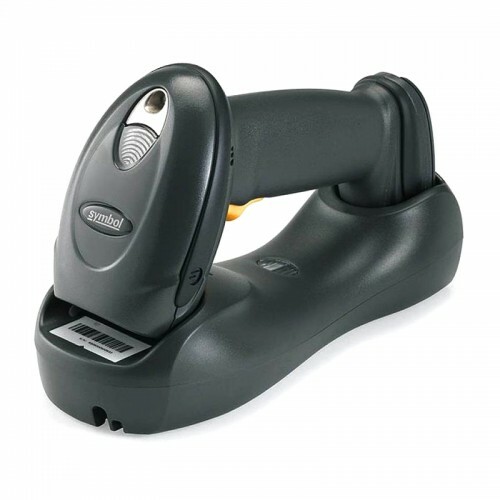 Comfortable and easy-to-use,this single device can capture all common barcodes (1D, 2D and PDF417) on labels as well as on mobile phone displays. The optional hands-free presentation cradle enables additional advanced capabilities: signature,document and photo capture, optical character recognition (OCR) to capture text in documents, and MICR to capture numeric information on the bottom of checks. Motorola DS6878 - USB Kit, 2D Imager, Cordless. Includes charging/communications base and USB cable. Color: Black. Tags: Motorola DS6878 - USB Kit, 2D Imager, Cordless.